Gone are they days when having a tattoo signaled membership in a criminal or crime-adjacent underworld. Nowadays, you don't have to be Yakuza to have a full-body tattoo, or a sailor to have an arm adorned with an anchor. In fact, tattoos are so common as to now be just another note in the background static of our pedestrian, everyday lives. But new research suggests that tatts may actually have some unforeseen health consequences, that may be serious enough to give you pause if you're considering inking up. The new study, published in Medicine and Science in Sports and Exercise, suggests that tattooed skin may not be able to function as well as non-tattooed skin. The study followed ten young adult men who were otherwise healthy, and had one or more tattoos on one side of their body that covered at least 5.2 circular centimeters. The researchers measured the participants' sweat responses in the tattooed area and the corresponding patch of bare skin on the opposite side of their bodies. Tattooed skin produces less sweat than non-tattooed skin. The sweat the tattooed skin does produce is also much higher in sodium than normal sweat. 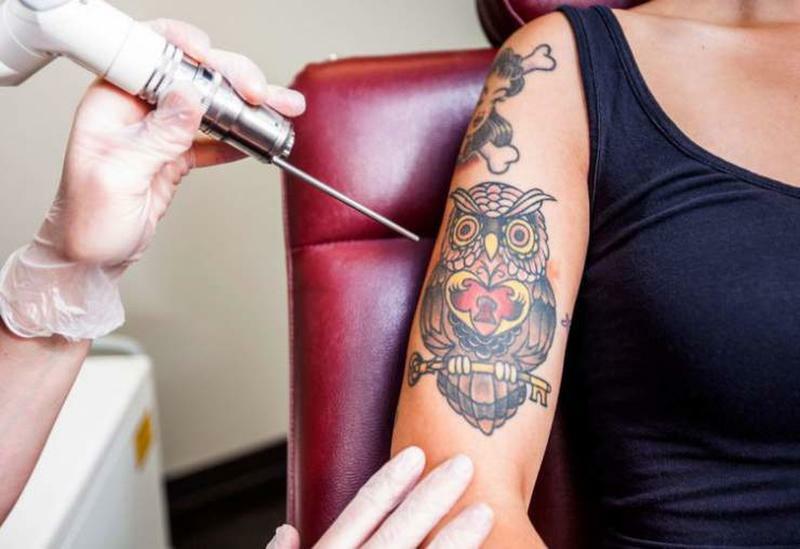 According to the study, this may put people who have tattoos at a higher risk for developing heart disease and/or heat illness. When we work hard, we produce sweat to cool our bodies. The sweat response is very important for health, and when it can't function properly, problems may arise. When we sweat, we're supposed to reabsorb a portion of the electrolytes, such as sodium, that are excreted in the sweat. Tattooed skin cannot reabsorb these electrolytes as easily or in the same volume as normal skin. This can lead to the body leeching too many electrolytes and having difficulty maintaining a healthy temperature. One of the study's co-authors, Maurie Leutkemeier, says in a Time interview that people in the military may be especially at risk. "You look at someone in the military, where tattoos are very prevalent, and if they're exposed to high heat and a heavy workload, there could be thermoregulatory problems." If you only have one or two small tattoos, the risk may be negligible. But if large portions of your body are decorated, this new evidence may be grounds to take extra precautions when you exercise or will be in a high-heat, heavy-exertion situation. And if you're on the fence about getting a large tattoo, this may help you make up your mind.